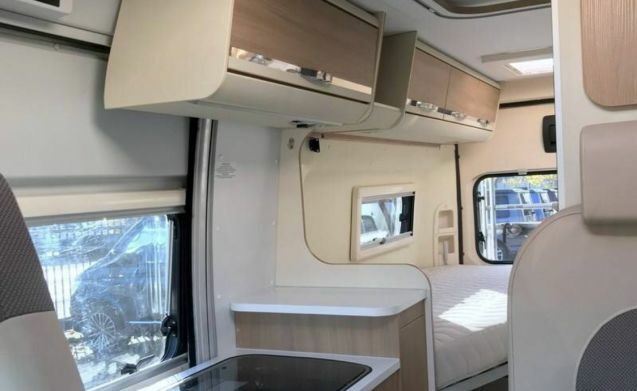 Beautiful Adria Twin with 6 mtr length and still a few beds. In addition, a strong Euro 6 motor. A beautiful camper from 2017 km vrij.Hij has 4 zitpaatsen so if you take dome with it is good to do with 2 children there.